Join Student Affairs as we promote Men’s Health Month. 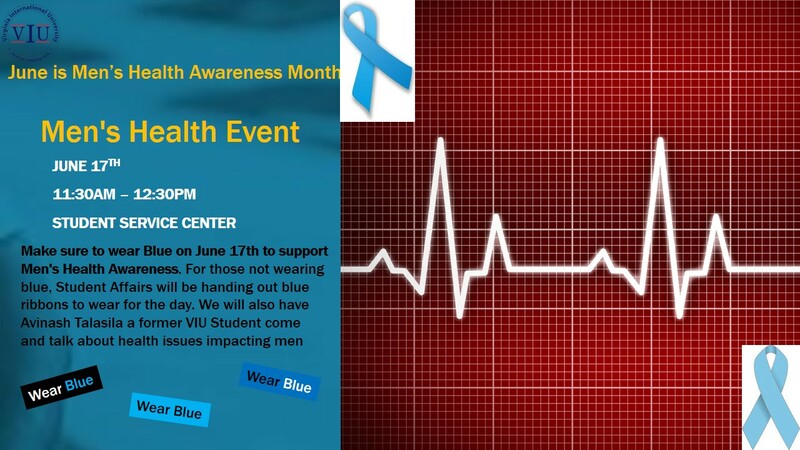 Make sure to wear blue to support he men in your life! Come out to learn about health issues facing men today.